Grocery & Meals Delivery with Exciting Coupons and Cash Back Offers. Nothing beats the awesome feeling of treating yourself to good food once in a while after having the same boring meal every day. So go ahead and have a great time at your favorite restaurant without having to worry about the prices of the dishes. Kiindly offers amazing cash back deals and coupon rewards on several restaurants and food chains in your locality, including Wine.com, Restaurant.com, Omaha Steaks, Boxed, and Dinnerly. Whether you want to go out and have a nice dinner with your loved one, or want to stay home and treat yourself with your favorite dish, we have got it all covered. All you need to do is to sign up with our website to shop, save, and earn cash back that will be transferred to your PayPal or eCheck. 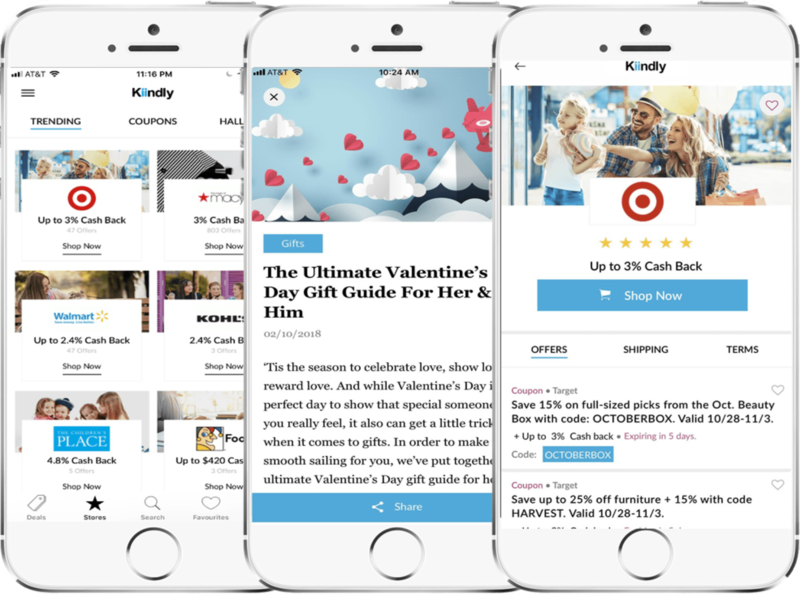 Now you can get latest deals and offers on the go with the Kiindly iPhone app.